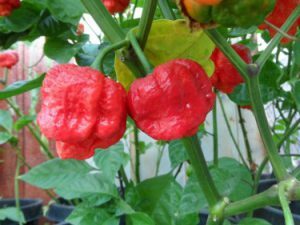 Apocalypse Chocolate-(Capsicum chinense)-This is the brown variant of the Apocalypse Red or Apocalypse Scorpion. 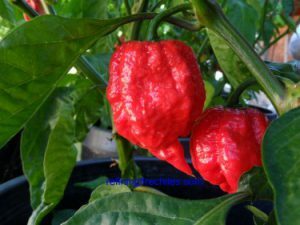 Created by Italian growers this is one of the better new superhots on the market. 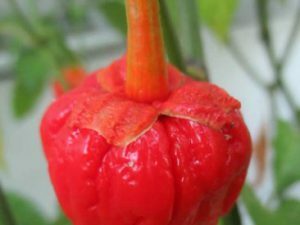 The Apocalypse Chocolate Pepper is more rare and some say burns far more than it’s red relative. Consistency is unknown as few have grown it. 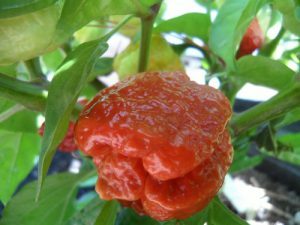 We notice more pimpling texture on the skin than the red and also more giant sized peppers larger than a golfball. 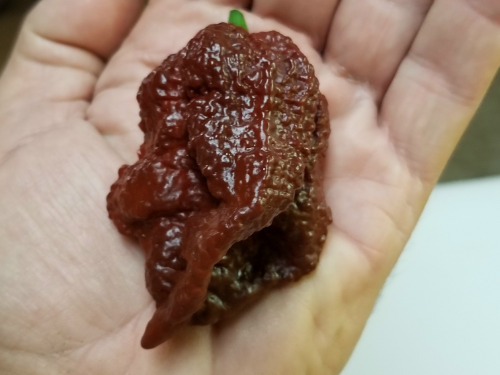 The Apocalypse Chocolate chile plants grow 4 to 5 feet tall.